In our previous extended blog, Tackling Phishing: The Most Popular Phishing Techniques and What You Can Do About It, we covered a range of the different techniques attackers (whether sophisticated nation state or low-level hacker) choose when performing their phishing campaigns. One of the most prevalent was email spoofing. In this blog we’ll explain email spoofing in more detail, as well as providing a practical guide for how you and your organization can fight this tactic and reduce the risk of successful phishing attempts. 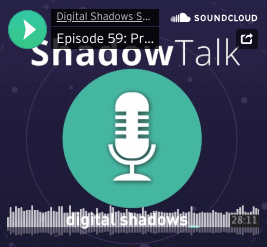 We also put out a podcast recently on this topic – check it out here. For as long as there have been electronic communications, or any communications for that matter, there have been people attempting to intercept or impersonate the sender and the message. Back in the Roman Empire that involved faking seals on the backs of letters. In the modern day, it’s all about spoofing the “From” address in an email. Email spoofing has been around for a long time and it’s still going strong, flooding inboxes and spam folders with the usual malicious documents or links to a landing page cloned from a legitimate service. Spoofing an email is a relatively easy process: all it takes is for the attacker to create, compromise or find a Simple Mail Transfer Protocol (SMTP) server that allows the forger to send the spoofed emails. While creating your own mail server is pretty straightforward, there is a significant digital trail that is left behind in order for an email to be received successfully. Done incorrectly, and it will end up in a spam folder or rejected by the server. 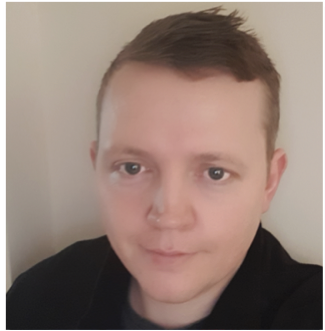 Configuring domain name system (DNS) records for the server, ensuring the hosting IP has not been involved in similar campaigns and has not ended up on blacklists: these activities can all be very time consuming. These days most sites and servers have a SMTP server for sending alerts or marketing emails. SMTP is a protocol for sending e-mail messages between servers. However, compromising a site and then modifying the configuration and sending domain to reflect the spoofed domain is always an option, though this is a lot more hands-on and again requires time and some level of know-how. Ecommerce sites often have some kind of email feature that is commonly abused to spoof or send spam, but even “hardened” servers that may require authentication are continuously being brute-forced, with successfully compromised accounts then sold or traded online. If the forger is looking for mass-distribution, then Open Relay servers would be the likely choice. Simple misconfigurations of SMTP servers often leave them open to allow anyone to connect without authentication and to specify the “To” and “From” addresses, as well as the content and any other fields they want to populate. 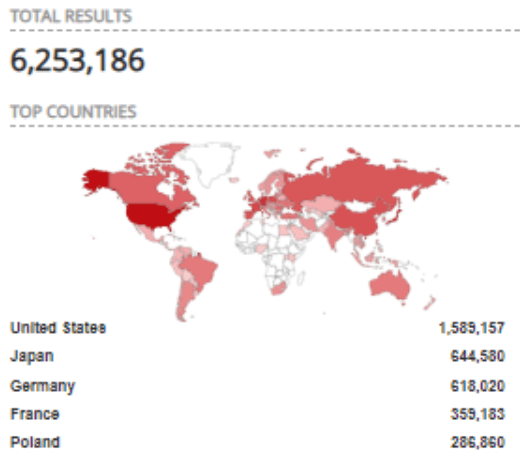 By looking at Shodan we can identify more than 6,000,000 SMTP servers; while not all of these will allow Open Relay, the amount that do would surprise you. These can be pretty ephemeral too. Quite often you will find that a development or staging servers are deployed with default or weak SMTP service configurations leaving them open to abuse. Threat actors will often scan for these open relay services, validate them, and then share them publicly or trade them on forums. 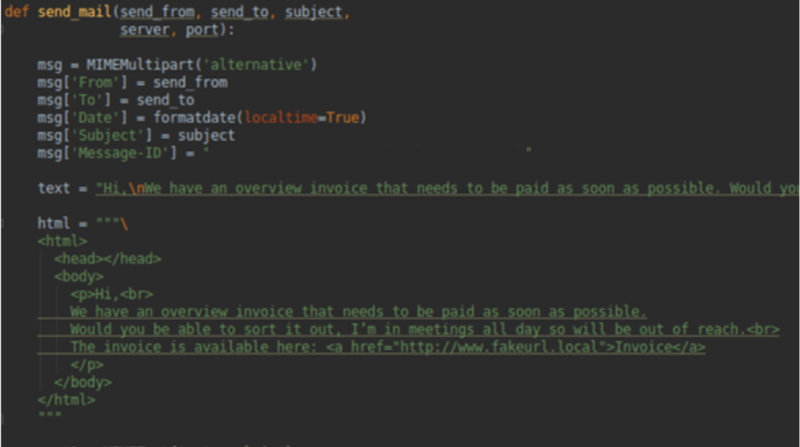 The attacker now has a large list of servers that they can send their spoofed emails through. So, we all know this happens and now we know how, but how can we prevent spoofing? SMTP is an aged protocol with security plugins bolted on. Unfortunately, like many protocols, the threat model has changed since the standard was proposed. That said, as the need and demand has increased, multiple duct tape-style fixes have become available. Let’s look at a few of them. This type of SPF does not protect you from the sun. It was designed to help detect and block spoofed e-mail messages, but it doesn’t really do that very well either. Sender Policy Framework – or SPF as it is commonly known – is a solution created in an attempt to validate the source of an email message received by a mail system. Unfortunately, SPF policies rely on the receiving mail server to actually do something about it. SPF policies work by adding a TXT record to your email domain’s DNS (domain name server) that identifies the authorized mail servers for sending email for this domain. When the recipient mail server receives the message, its spam filter, if configured to do so, will check for the existence of a SPF record in the “From” domain’s DNS entries. If it exists, it will then check if the origin server matches those included in the record. The action that is taken next is up to the spam filter. This very basic example first identifies the SPF record version, and then provides the fully qualified domain name (FQDN) for the authorized e-mail server for this domain. This is followed by the action, which is set to hard fail. The intention of a hard fail is to instruct a recipient mail system to reject the message, this is noted by the “hyphen all (-all)”. These records can also be used to specify IP addresses and blocks, and you have several actions to choose from. “~all” for instance is a soft fail that is used when the source of legitimate emails is less certain; this tends to just increment the spam likelihood score. On the other hand, “?all” is neutral for when you are really unsure about where your domains emails are coming from. The actions taken with each of these actions is down to the recipient mail server and spam filter. The policy actions such as neutral, soft or hard failures are often used to determine whether the email is spam or a legitimate message, with multiple other factors are also being considered. We have seen with SPF that there are flaws and this is what DMARC tries to make up for. While the action of an SPF failure is down to the receipt systems with SPF alone, DMARC gives the receipts some assistance by providing instructions in the event of policy failure such as SPF. DMARC not only advises the receipt to quarantine or reject the email message on failure, but also asks for a report of the message to be sent to a reporting address. This is a great step for gaining some insight into spam/malspam campaigns spoofing your organisation. 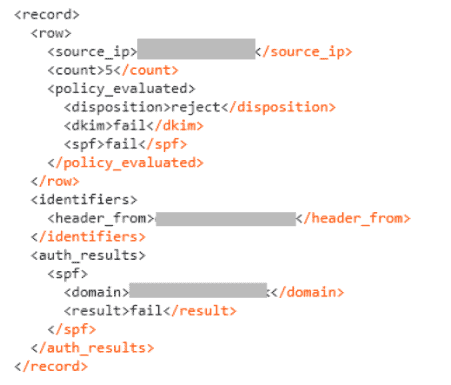 This example again identifies the DMARC _dmarc TXT record that needs to be added to the email domain’s DNS. The record starts with its record version, followed by the policy that is set to none for reporting only, though this could be set to something like quarantine or reject. Reporting gives you a good initial view of any legitimate sender mail servers you may have missed from the SPF includes or DKIM configurations. The rua value is the address for sending the aggregate (rua) report, which is useful for gaining insight into all messages reported to have been sent from your domain. The ruf mailto is for policy failure reports. Additionally, both ruf and rua allow multiple mailto addresses for reports, providing a good way to get the information into multiple systems if required. Delivery for DMARC reports are generally sent every 24 hours by most major mail providers. The delivery timeframe is configurable in the TXT records; however, these are often ignored. DKIM is a bit more complex and has a habit of breaking mail systems if incorrectly configured. On the other hand, if correctly configured it can provide a level of integrity and authenticity to outbound messages, providing recipients with the confidence that the email message is legitimate by using a digital signature to sign email messages as they leave the origin mail server. 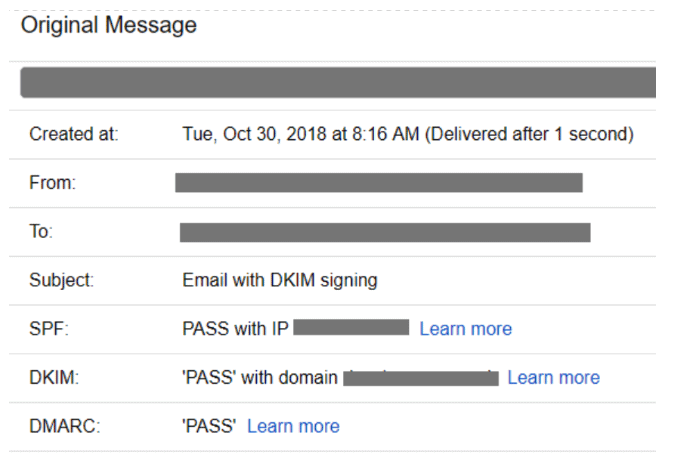 As with SPF and DMARC, TXT DNS records are required; however, with DKIM this is used to publish the signer’s public key, which the recipient mail server then uses to verify that the content signed by the digital signature is included in the email message headers. Like the version records for SPF and DMARC, the record starts with the version. With DKIM you then have the “k=” that identifies the algorithm used for the public key, followed by a base64 encoded public key itself. With DKIM there are many services that provide help with generating public keys and entries for DKIM records. Most cloud-based mail solutions have built in functionality for creating these records, with some even integrating directly with your domain registrar in order to automate the record configuration. While all these solutions work well together, it all comes down to the recipient mail systems checking the records and taking action. It is worth keeping in mind that certain cloud mail providers such as Outlook365 take configurations such as SPF and DKIM very liberally, only using them to classify the failed messages as spam, effectively sending them to the junk folder. The outcome of this is that if any client-side configurations such as domain trust are implemented, spoofed messages will bypass these policies and arrive in the user’s inbox. These solutions are what we have to work with in order to protect our organizations’ brands and reputations, but they won’t prevent typo or domain squat-based brand spoofing, or even malware infections distributing spoofed emails through legitimate domains. As previously mentioned, if you are using cloud-based mail providers there is generally a lot of support and even automation when it comes to setting up the records for these deployments. Though keep in mind that DMARC reporting with no action is always a good place to start in order to ensure that you are not accidentally instructing recipient mail solutions to reject the messages that your marketing team have sent out through a third party, or your cloud mail solution pool of mail server IP addresses. 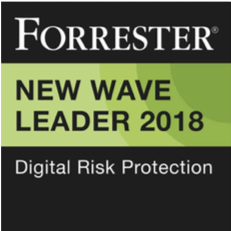 By implementing additional security measures such as SPF, DMARC and DKIM you are not only reducing some of the risks to your employees (by making the spoofing of your domain more difficult), you are also reducing some of the risk to your customers and lowering the risk of brand misuse and the knock-on reputational damage.